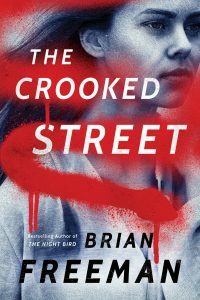 We’re only three weeks away from the launch of my new Frost Easton thriller THE CROOKED STREET on January 29. While you wait for Frost to return to the streets of San Francisco, you can catch up on the first two books in the series at a great price. 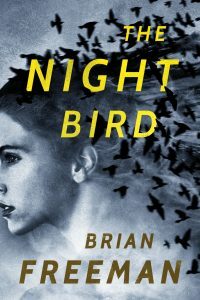 The huge reader favorite THE VOICE INSIDE and the #1 Kindle bestseller THE NIGHT BIRD are both Kindle Deals throughout the month of January. So you can put them on your e-reader right now for just $1.99 each. Want even more? Several of my Jonathan Stride e-books are on sale right now, too. 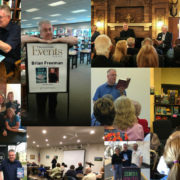 Click here to go the Brian Freeman store at Amazon. 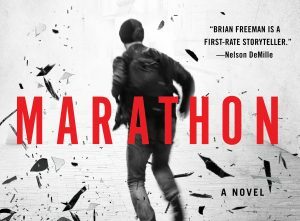 The Plymouth READS program in Plymouth, Minnesota, has selected Brian’s thriller MARATHON as its citywide community read for 2019. 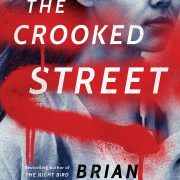 Visit the Plymouth READS website for more information about the wide-ranging community events this spring surrounding MARATHON — and then join Brian at the Plymouth Creek Center on April 11 for a discussion of the issues raised in this ripped-from-the-headlines novel. 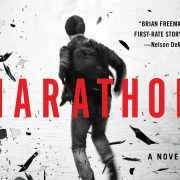 Brian will talk about the process that led to the creation of MARATHON and answer questions about the book. 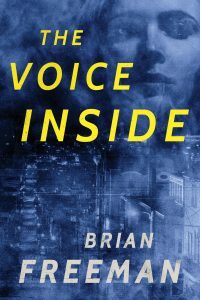 If you’d like to select one of Brian’s novels for your local community-wide read program — and invite him to join the discussion — just contact Marcia Freeman for more information. THE CROOKED STREET. Coming January 29. 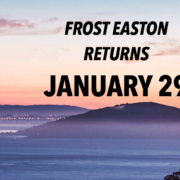 Frost Easton faces his most twisted adversary ever…a shadowy criminal mastermind known only as Lombard. Pre-order now in e-book, hardcover, paperback, and audio. Get it online or at your local bookstore. Click here to learn more. Mark your calendars for this Sunday, December 23. 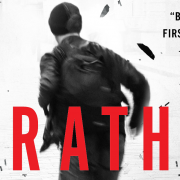 Then RUN, do not walk…because MARATHON will be a Kindle Daily Deal. You can get it for a great price all day. Click here to go to the Kindle page. See, Santa knows you’ve been good. The wonderful event at the Bookstore at Fitger’s in Duluth this week marked the last book event for us in 2018! 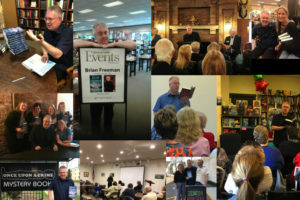 Marcia and I have done more than 30 events this year: book club discussions, library presentations, bookstore visits, Skype/FaceTime call-ins, library fundraisers, etc…and we have loved the opportunity to chat personally with hundreds and hundreds of readers. So a big THANK YOU to everyone who joined us this year! We will be kicking off more events in January, and Marcia and I hope to see you in your area during 2019. In the meantime…happy reading! 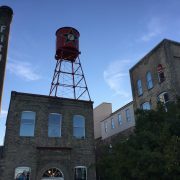 Kick off your holiday book shopping this THURSDAY 12/6 from 5-7pm at the Bookstore At Fitger’s in Duluth. I’ll be up in Stride Country signing books and chatting about what’s ahead for 2019. Because we all know that books make the perfect gift! Not in Duluth? Can’t make the event? Call the store and order books by phone (218-727-9077)…just let them know how you’d like your gifts inscribed, and I’ll personalize them for you. You know, I killed two people at Fitger’s in Duluth in GOODBYE TO THE DEAD…but they keep me inviting me back anyway. Now that’s Minnesota Nice.